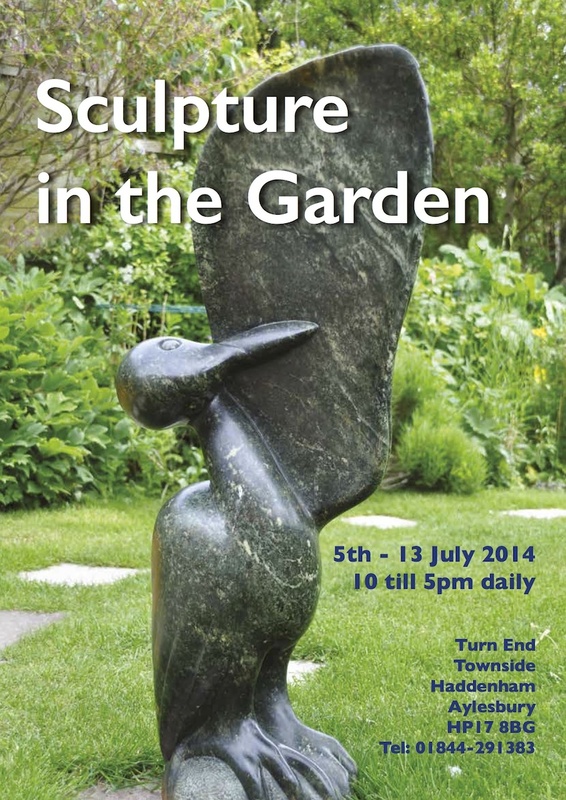 The Turn End Exhibition runs from the 5th July to the 13th July. Over 100 pieces of sculpture will be on display and available to buy, within the enchanting surroundings of Turn End garden. Curators Lendon Scantlebury and Lindsay Waring have been planning the exhibition for over a year, and have selected a wonderful range of sculptures in various media that will suit any size of garden. Pieces include delicate mirror and glass mosaics, flower forms in metal and glass, striking bronze statuary, beautiful carved wooden animals, tactile stone carvings and playful animals made from recycled metal. This is the first time Turn End has hosted an outdoor exhibition and promises to be a visual feast.